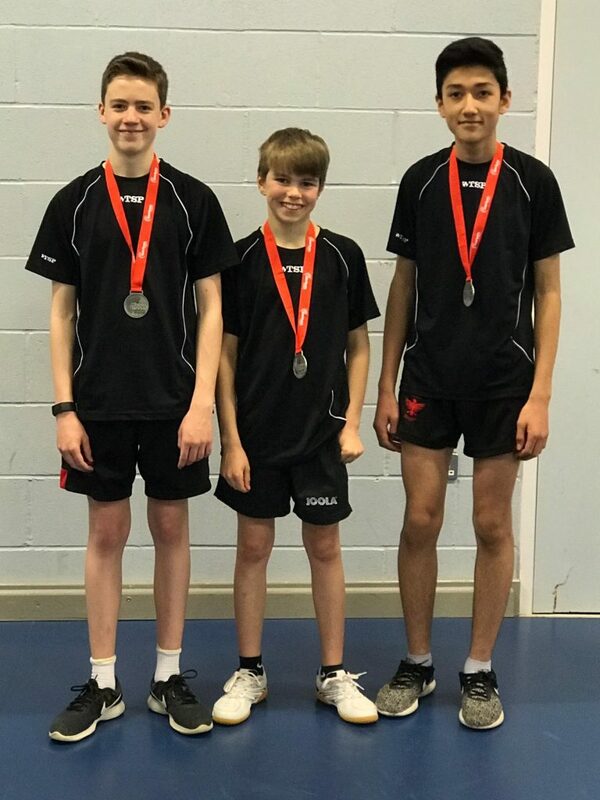 Revolution E team players Ethan Calder and Ben Dunkley, representing Bedford Modern, competed in the final weekend of the National Cadet League on Sunday 24th March at Westfield TTC in Wellingbourough. Their team finished second in Division Two. Thomas Nicol who plays for Revolution D represented St Neots TTC in this Division and won 8 out of 10 matches including an 11-9 in the fifth win over fellow club mate Ben Dunkley who also had an 80% win record.